Last order is 30 minutes before the museum closes. In addition to the cafe’s original blend aromatic coffee, the menu also features iced coffee, tea, and a variety of soft drinks. 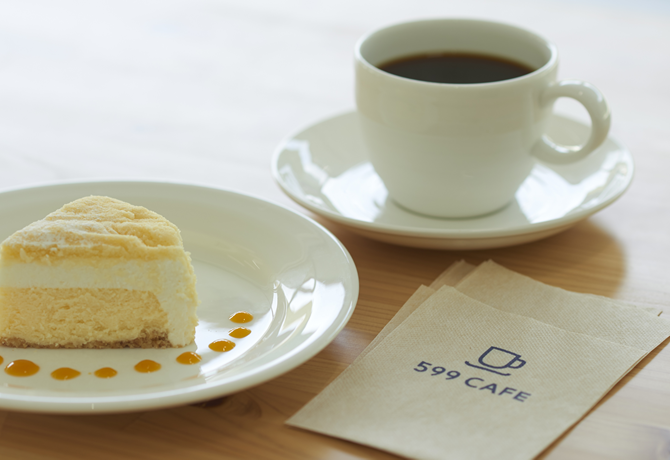 The cafe’s popular desserts are made from milk delivered directly from Isonuma Farm in Hachioji. Enjoy these delicious desserts with a selection from the drink menu. * The menu shown here is current as of February 2016. Prices and selection are subject to change without notice. We thank you for your understanding. * Prices include consumption tax.